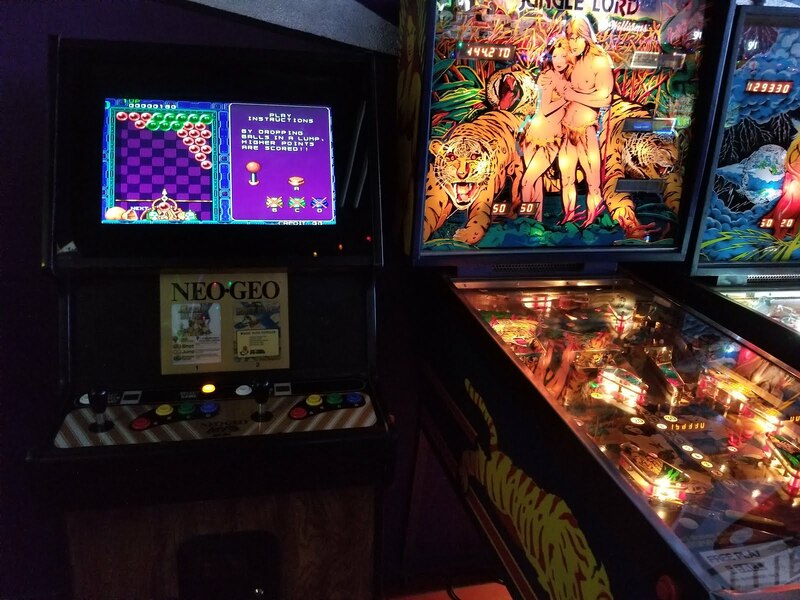 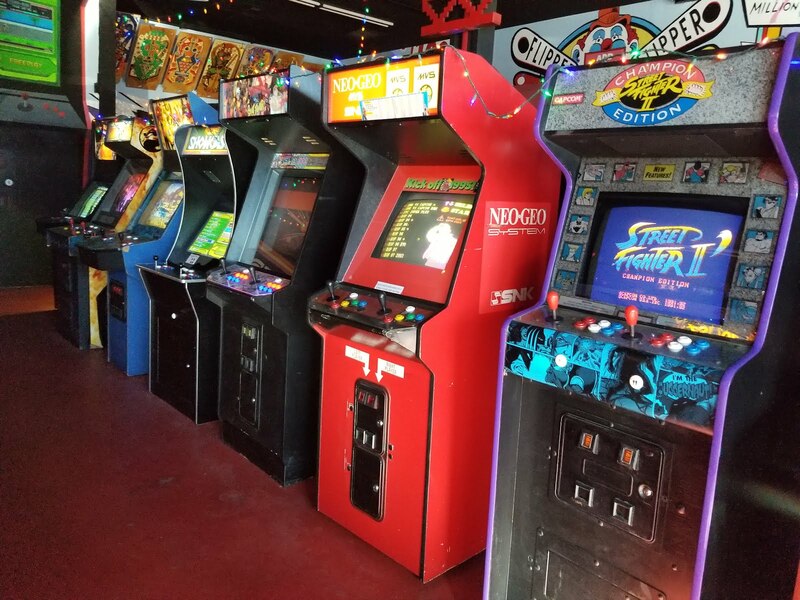 Welcome back arcade lovers! This time around we are going to take a look at a newish arcade in Calimesa, California... the Retrovolt Arcade! 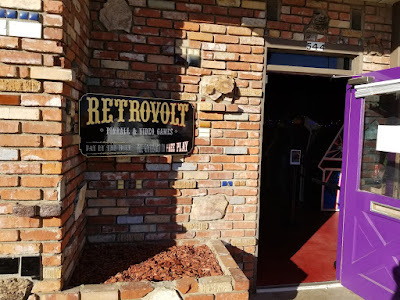 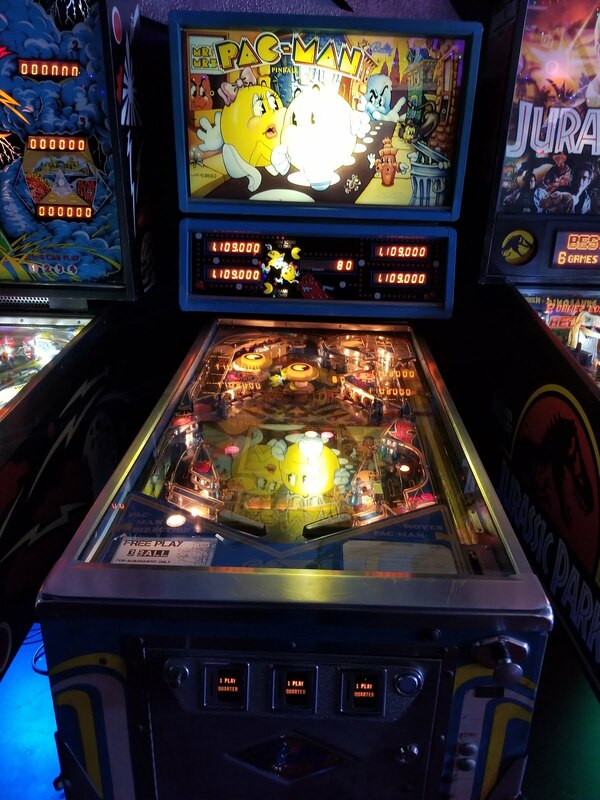 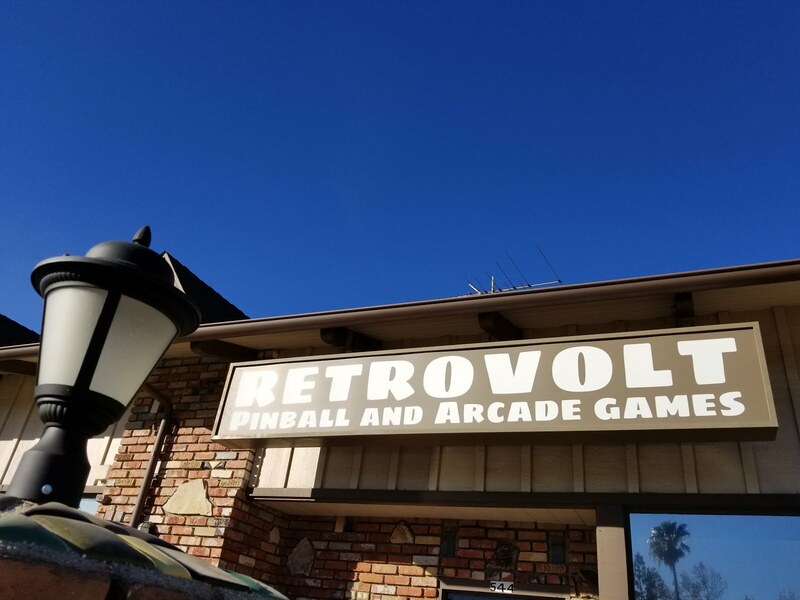 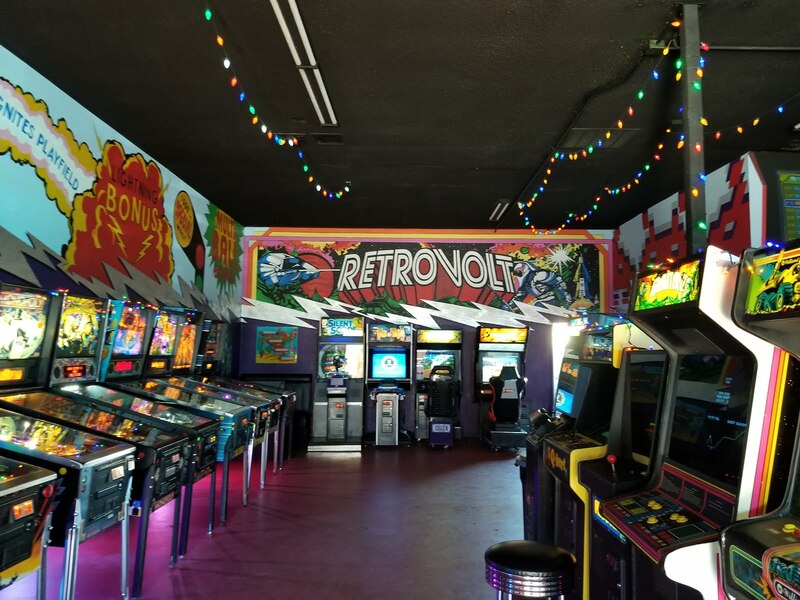 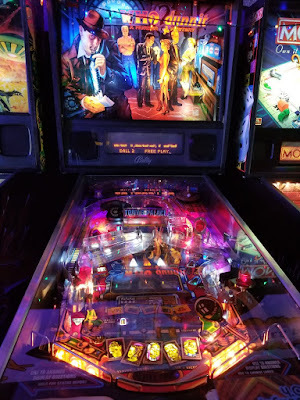 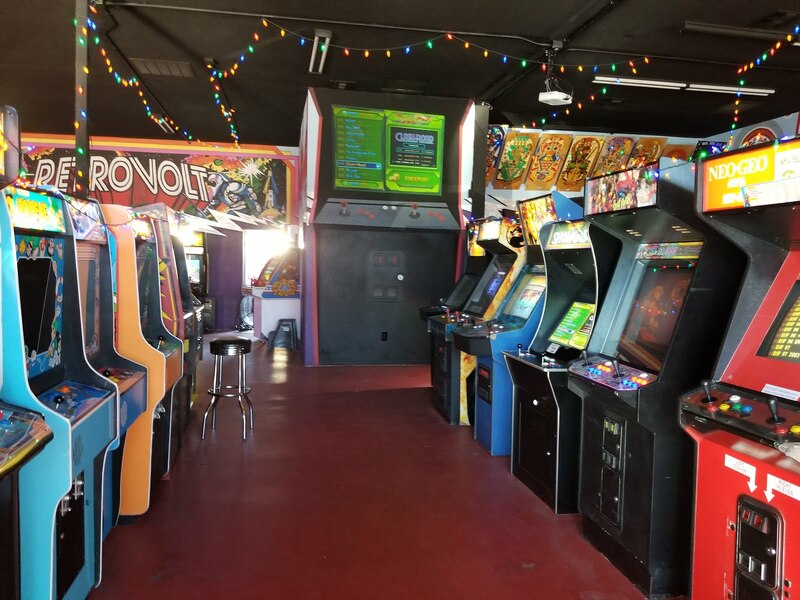 Retrovolt opened it's Calimesa location in 2017 and I got a chance to give it a visit on my recent SoCal vacation. 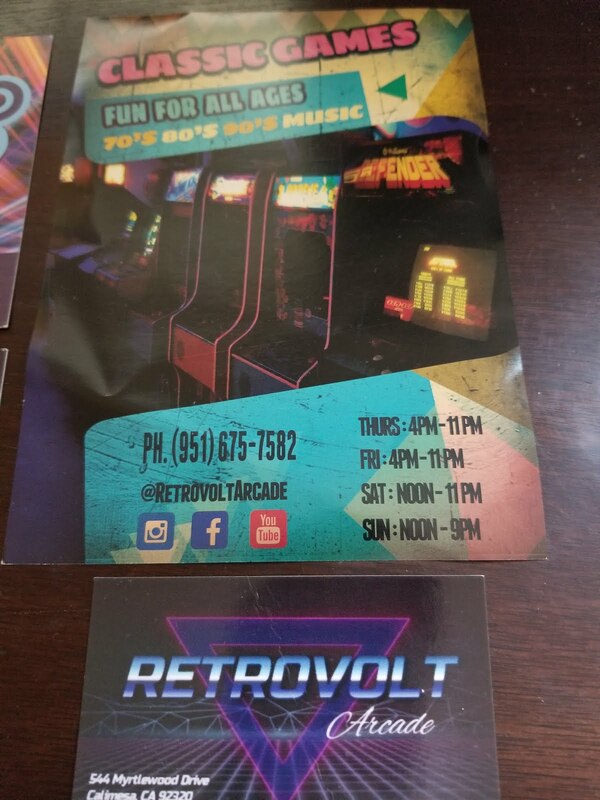 Retrovolt uses a pay by the hour with games set on free play model, I paid for an hour for $10. 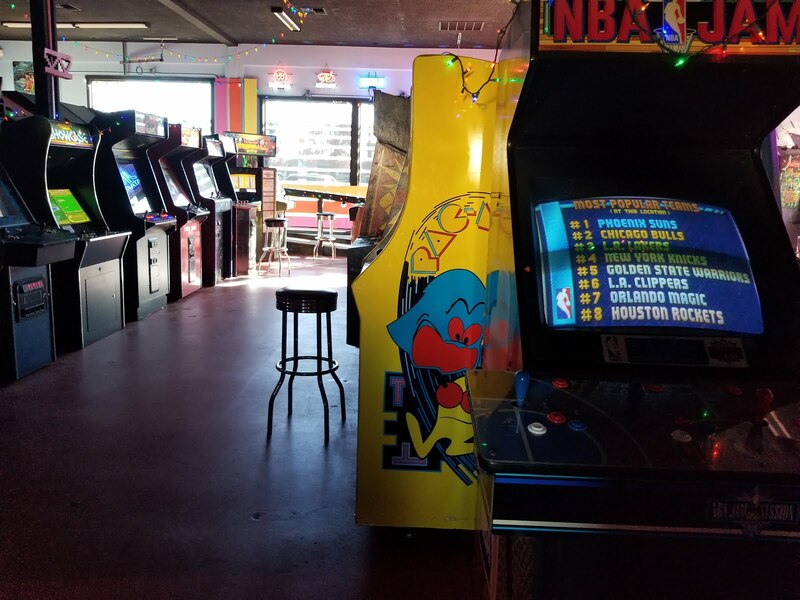 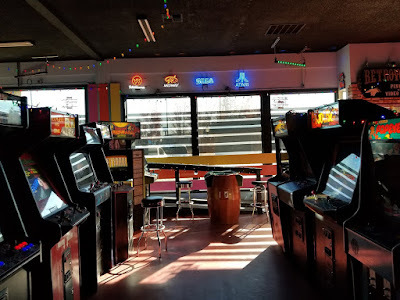 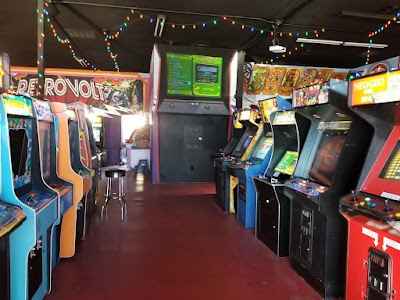 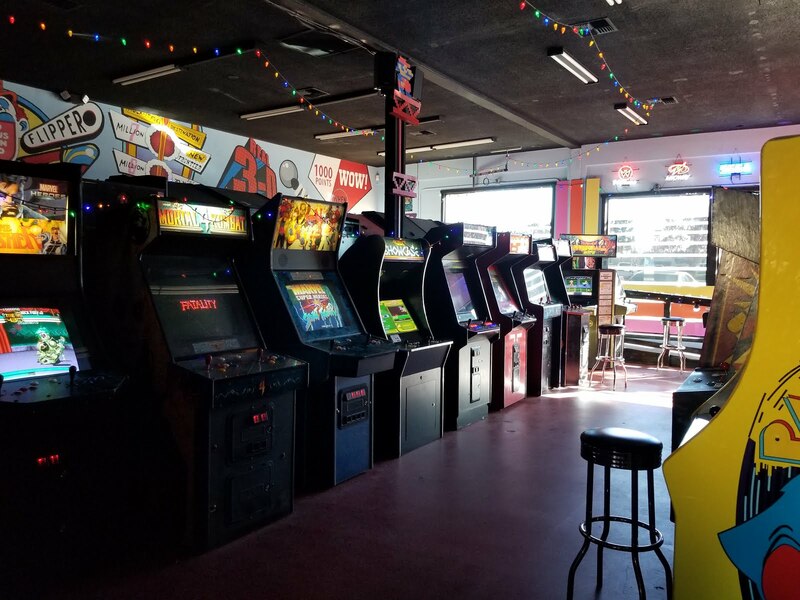 I knew that I was really going to like this arcade immediately, when I walked in on a blazing hot December day, it was dark and well ventilated with fans and tinted windows. Siouxsie and the Banshees Happy House was playing on the stereo! In fact, the music selection was amazing the whole time I was there, it was all good songs from the 70s/80s. They had the whole arcade done up with Christmas lights for the holidays. 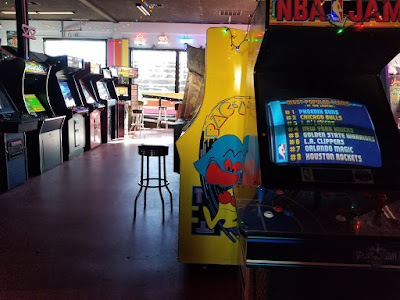 The atmosphere of this arcade cannot be oversold, it was incredibly comforting to be there and enjoy some arcade goodness, I'm sure it is even nicer at night. 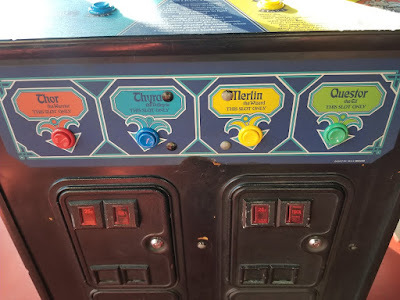 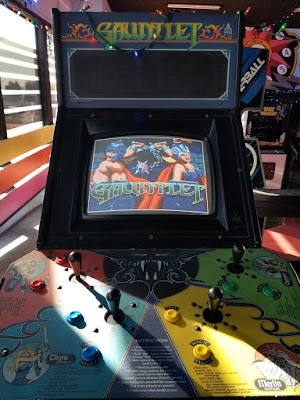 Haven't seen one of these in a while, 4 player Gauntlet. 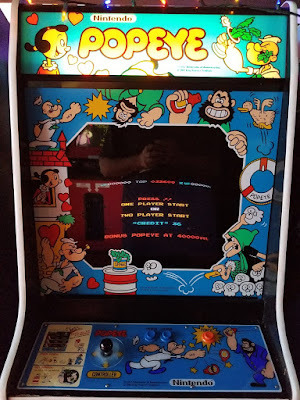 WHO dunnit...I spent some time with this machine, I'd never seen one before (it's good). Such a nice arcade, I wish I would have had more time to hang out, but an hour visit was still very good. They had a few questionable things going on, like the multicart in the Neo-Geo red 2 slot (eww) and some of the video games had LCD monitors, I'm sure most people wouldn't notice or care, but I found it a little off putting...like I wanted to play Karate Champ, but I couldn't bring myself to play it like that..why I don't know. 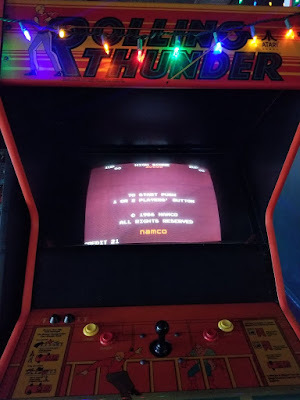 I'm sure having the games always set to having credits on them would cause massive burn in problems on CRT monitors since the attract mode isn't running, maybe that's why they have LCDs in some games. 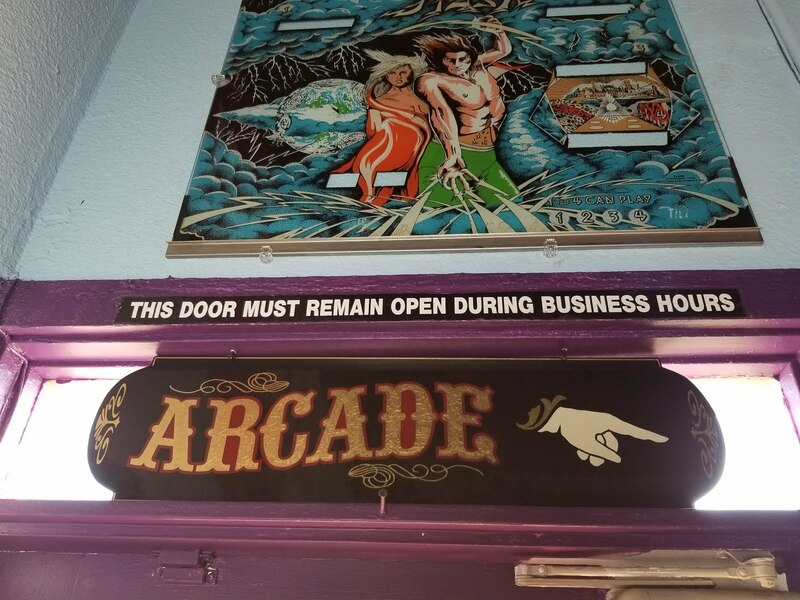 My final rating for this arcade is an A+++. 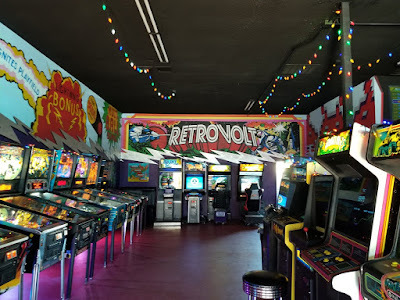 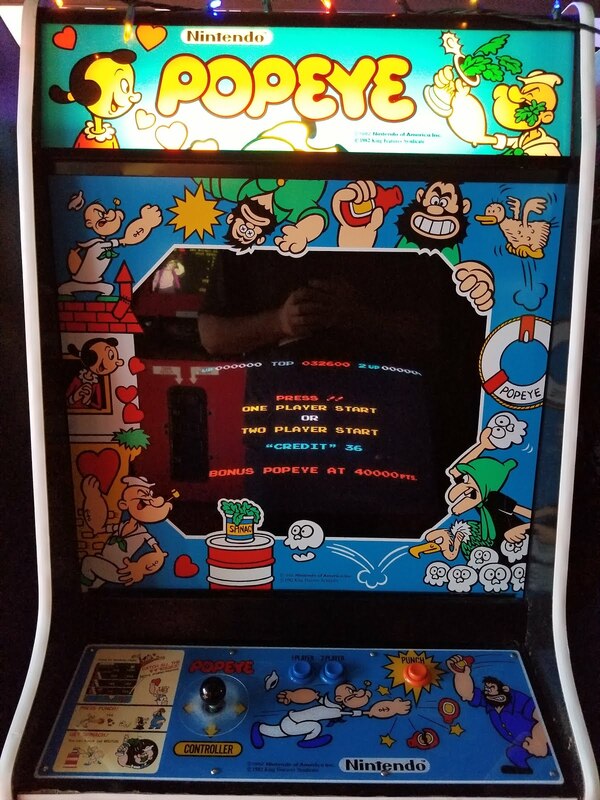 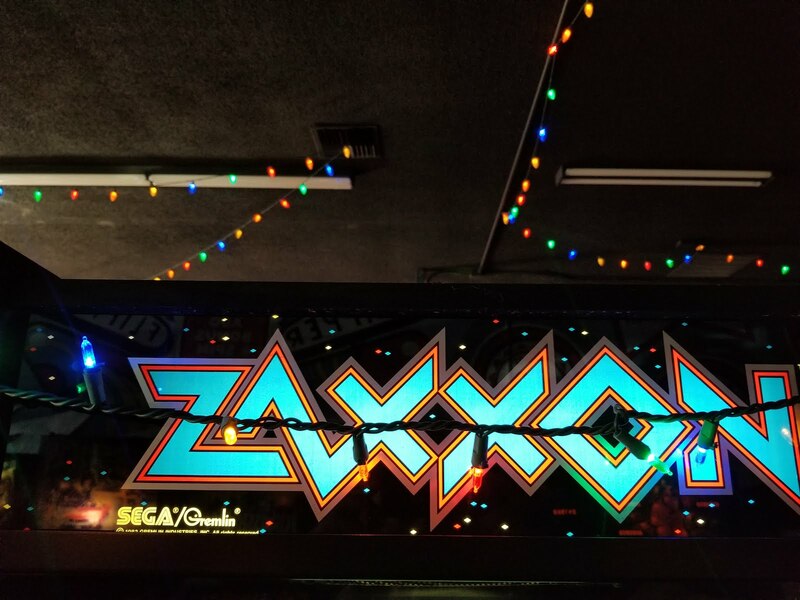 I really loved this arcade and you should go check it out if you are anywhere nearby.